It’s hard to sell what you don’t have in stock. 3. Decreasing your Parts Inventory Obsolescence. More than ever, the Parts Department functions as a support Department for the Service Department and perhaps your Body Shop, so it’s important to have an accurate parts inventory process in place. By having the correct mix of parts, your Productivity in Service and Body Shop will soar. 6. Our Levels of Customer Service suffer. Getting your Parts Department inventory managed properly can have a drastic affect on your Fixed Operations Profitability. 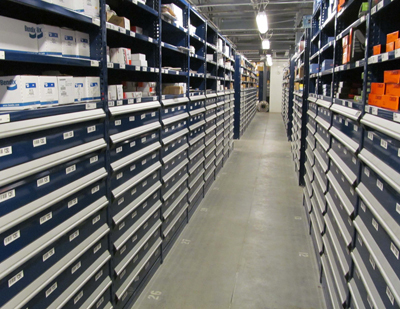 Our goal for you is to have the right parts on the shelf, and get the highest Return On Your Investment. Find out how we can help you maximize your investment.